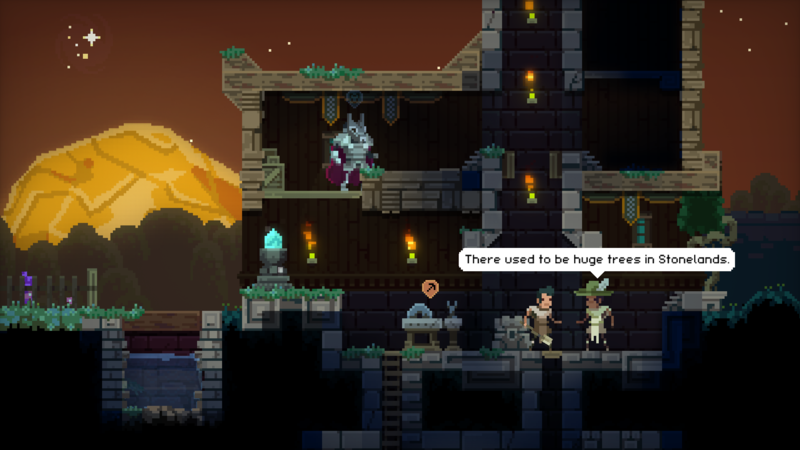 MoonQuest is a procedurally-generated adventure game for PC. It combines roguelike and minecraftian gameplay and is suitable for all inhabitants of this universe. Each game presents a new world to explore in your quest to illuminate the endless night. 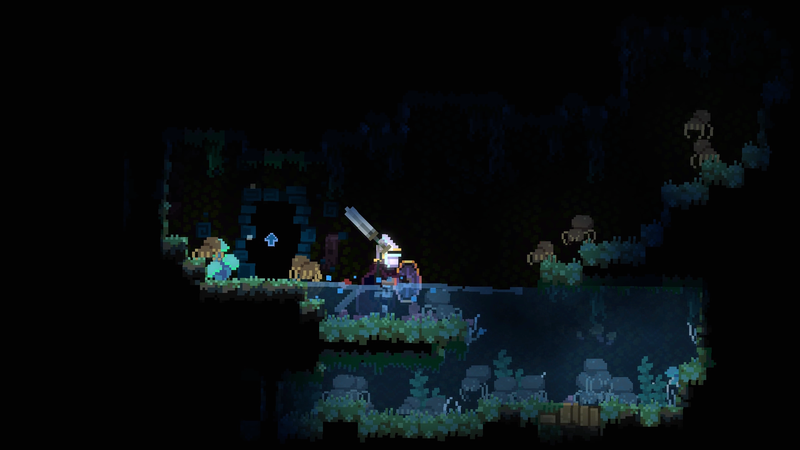 Seek out the lost forest, delve into the spider caves, storm the castle of the Silver King, discover vast seams of gold ores, and craft a hat of such splendour that the cosmos will be jealous. MoonQuest is a work in progress and is updated regularly. 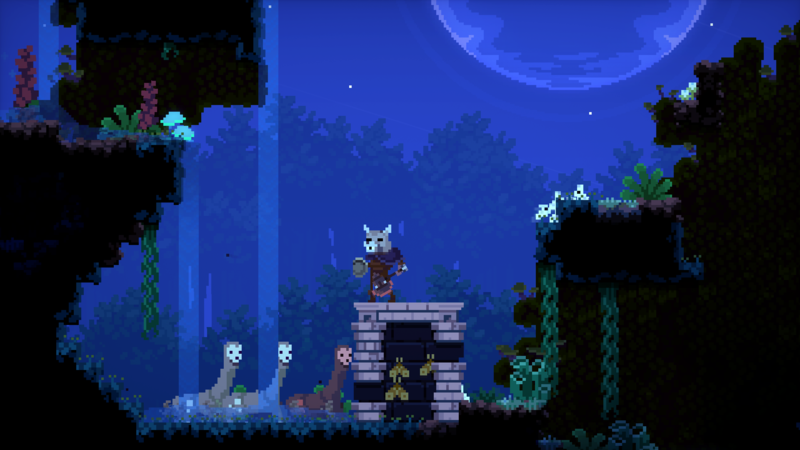 Follow @PlayMoonQuest and and leave your feedback and suggestions below! Press? We have a presskit with screenshots and more information! Can I use a controller? Yes. The game has been tested and works with an xbox 360 controller. Other controllers may work, but you may have to use x360ce to configure them as an xbox360 controller. I see keys in the MoonQuest package. What are they for? Whoops, ignore those! They were for a legacy version of MoonQuest and are no longer needed. What are the minimum requirements? You will need a PC with 2GB RAM and a dedicated graphics card. Is there an official soundtrack? Yes! It is called NoonGuest and was composed by Aliceffekt. Go and listen to it! New build is online! It includes a new character, ragdolls and many improvements. I haven’t played this yet, but it looks really great. If you released it on steam it could make a huge profit I think. Is there going to be a Mac version? Yep. Hopefully in a couple of months. I just uploaded a new build with bats, new crafters, combat improvements, and more! Read the full build notes here. Play MoonQuest during a full moon (or near enough) to unlock the Werewolf playable character. He drinks from a Blood Chalice and becomes frenzied. The game is coming along nicely, but I feel it needs a bit more direction as far as story goes. You're told to find the Moon Stones and...that's it. Once you leave the starting room, you're running blind. I can only assume they're found in the deep cave areas, behind many doors. Combat also gives me a hard time if I don't luck up on some gear in a chest, though it's fun finding ways to avoid or outrun danger. Thanks for the Let's Play and the feedback! The game will eventually have a proper quest system with sub-goals, which will make things much clearer. what is the download key for? You should be able to delete them from the "external keys" page if you don't need to hand them out anymore. Click on the page that takes you to the listing and scroll way down. Tell me if you have any issues. Thanks Leaf, Yeah I already did that, and sent an email a few days ago asking itch to remove the assigned ones too. Hey, played a bit of this on my channel! Only barely dipped my toe into it, though, so I might have to do some more. Really loving it, so far! I have now spent a good many hours playing the game and I love it. 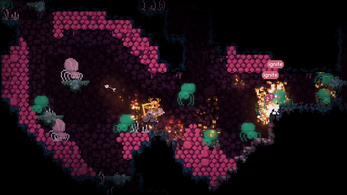 I'd say if you like the idea of a rogue-like mixed with an endless exploration of the weird then you ought to enjoy Moonquest a lot. 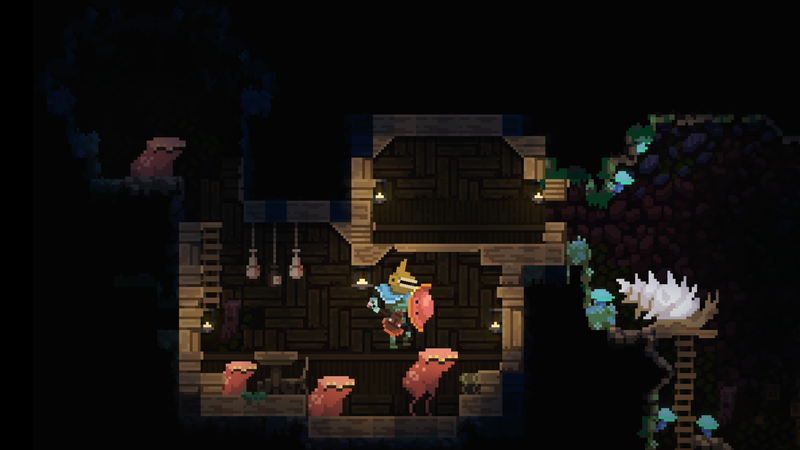 You have limited lives and sometimes you get unlucky and it's game over, but within seconds you're back to exploring a completely new & weird world. 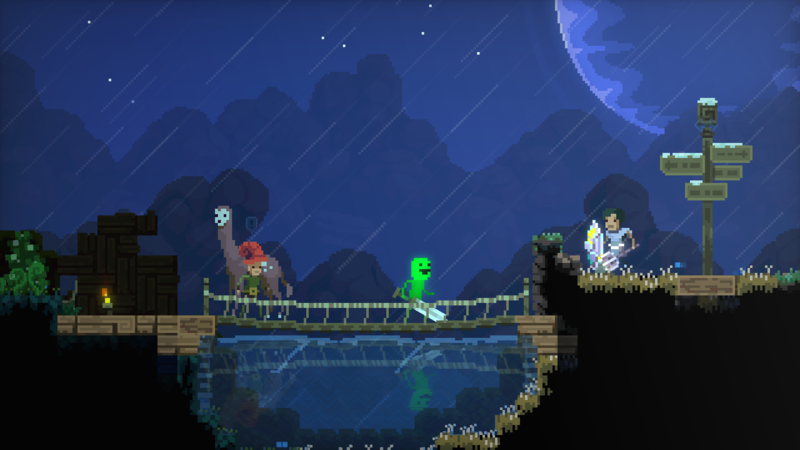 That you have limited chances before you start into a new world is probably my favorite thing about the game. It's not an endless exploration of a single world, it's like sitting down to a completely new challenge every time. I would call this a feature not a bug. Does buying the game here come with a Steam key? Nope, just the DRM-free game. It also works through the itch app. Looks very kooky. I am a fan of this level of madness. So excited it is out! 12 dollars? you've been working on this so long and I've been following so long I feel I should be paying 1200 dollars. But Ima just pay 12 dollars because I don't actually have that much money. Awesome stuff Ben! You've finally done it! Congratulations, can't wait to sink my teeth into this epic!